There are quite a number of different methods to save web pages for offline browsing and the most basic way is mentioned above. 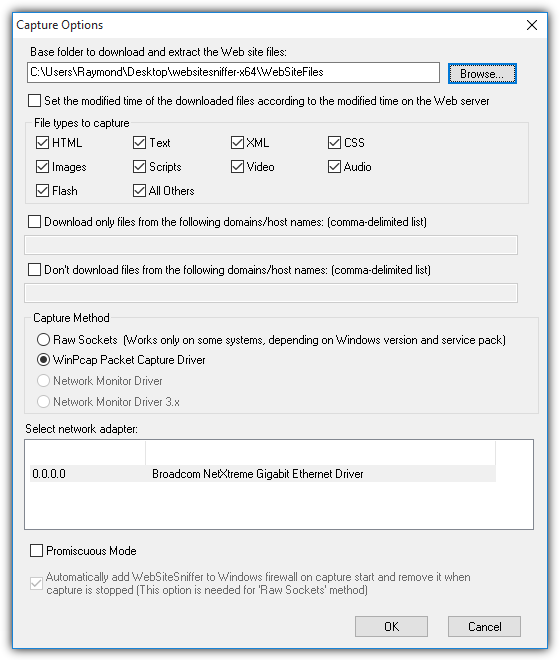 Another powerful method is using a web crawler tool such as HTTrack, Teleport Pro or Offline Explorer that are meant to automatically download the whole website which can be a bit overkill if you intend just to save a few interesting webpages. There is actually another method that is in between the manually saving of web pages with a hotkey and automatically crawling and downloading the whole website, which is automatically saving every webpage that you’ve visited using your web browser. Here we show you a few different ways to achieve that. WebSiteSniffer is a free, portable and easy to use type of packet sniffer that is specifically made to analyze the HTTP protocol, automatically reassemble the files and store them in a folder. 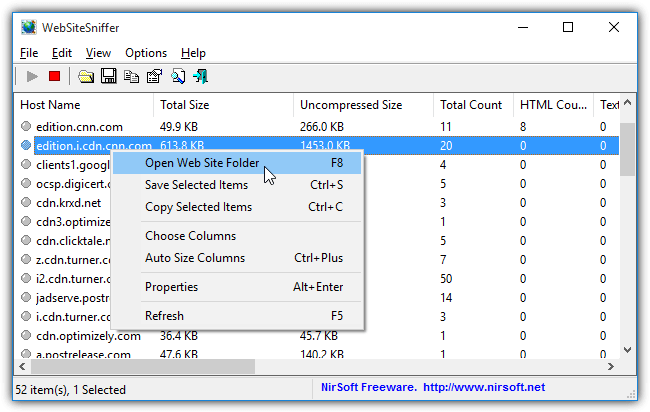 One of the advantages in using WebSiteSniffer is it works on all different types of web browsers without the need to install any browser extensions of changing the Internet connection settings such as proxy. Do take note that there is however a restriction where it doesn’t capture files from websites that are secured with HTTPS protocol. WebAssistant is a server proxy based program created with Java that acts as a middle men in between your Internet connection and web browser. This would mean you’ll need to configure your web browser’s network connection settings to connect to the proxy server address and port so that WebAssistant is able to capture and save the visited websites for offline browsing. WebAssistant comes in 2 versions which is the private version that is free with some features disabled while the Professional paid version comes with additional features such as HTTPS support, filtering, prefetching and etc. WebAssistant doesn’t require installation as all you need to do is run the MM3-WebAssistant.jar file after extracting the ZIP archive. 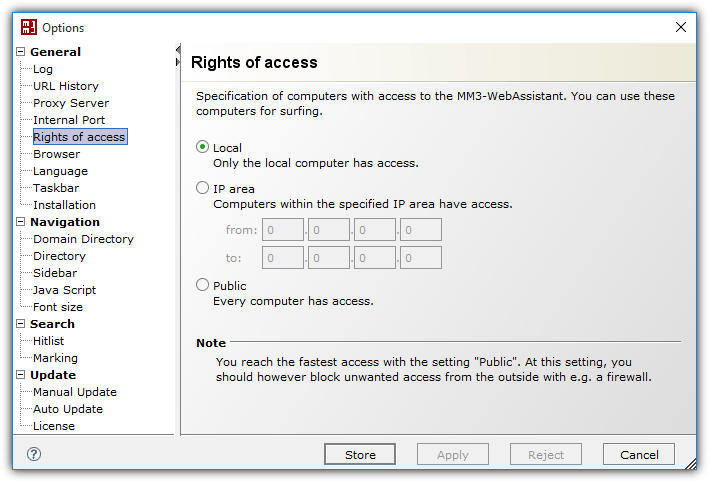 In order for WebAssistant to cache the visited webpages, web browsers must be configured to connect to the IP address of the computer running WebAssistant, or simply set it as 127.0.0.1 with the port 8080. The port and a lot of other settings can be changed in the program options area. 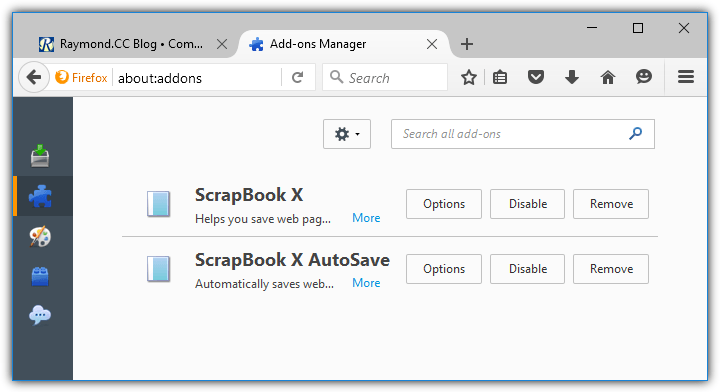 If you prefer to automatically save web pages that you’re viewing from your web browser without changing any network configuration and using a third party software, Firefox users have the choice of using a free extension called ScrapBook X AutoSave. Do take note that ScrapBook X AutoSave is only a small and simple extension that enables the auto saving of webpages feature in ScrapBook, ScrapBook X or ScrapBook Plus. This means that one of the main ScrapBooks must be installed together with ScrapBook X AutoSave to work. The saved webpage files are stored in the user’s profile ScrapBook folder by default and the location can be changed in the extension’s option. Shelve is another Scrapbook like extension for Firefox which has the ability to save webpages through a template. After installing Shelve, you can start archiving webpages by pressing the F9 key, select the available shelves and click OK.
A small popup will appear at the bottom left on your web browser to show that Shelve has saved the webpage in the predefined folder. 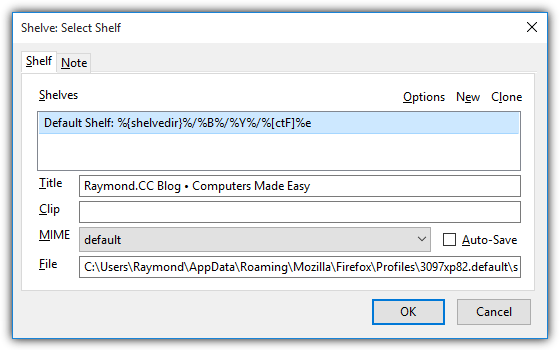 It is possible to configure Shelve to auto save all web pages that you visit through Regular Expression. Press F9 and click Options. Select the default shelf and click the Edit button. 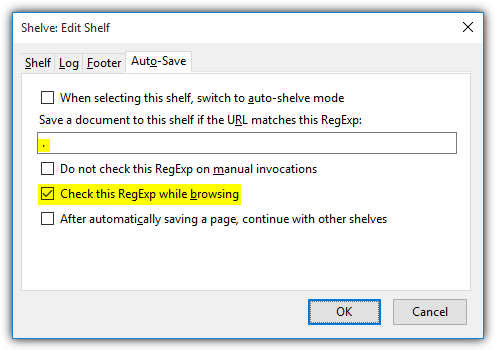 Go to Auto-Save tab, enter a dot in the box for “Save a document to this shelf if the URL matches this RegExp” and tick the “Check this RegExp while browsing” checkbox. Finally click OK to save the changes. From now on, Shelve will automatically archive the web pages that you visit. Additional Notes: Google Chrome users are out of luck because there used to be 2 extensions to save webpages for offline viewing which were EZNotes and PageArchiver but both have stopped working as they are no longer being maintained. Thank you for sharing! Really cool!